So, you want to fix American road racing? You’ve got to start them young, and now we have the machines to do it. Welcome to the USA, Ohvale. Make no mistake, the Ohvale GP-0 190 is no toy. This is a serious track weapon. America road racing is a skeleton of what it once was. The world does not look to the U.S. for the next world champion and, if we’re brutally honest with ourselves, it hasn’t for quite some time. That’s because Europe hasn’t just overtaken America in developing rising talent; it’s lapped us. The Europeans have known something we either haven’t or simply chosen to ignore—that if you want to be world champion, you need to start young. Really young. We’ve known this in motocross. We have the fastest motocross and supercross riders in the world because these guys started riding when they were barely out of diapers, honing their fine motor skills while growing up in an industry that’s backed them 100 percent. In road racing, we’ve been lazy. Dirt track has long been the gateway to road racing and provides the necessary skill set for delicate throttle and bike control at high speed, but often riders don’t see any blacktop until their early- to mid-teens, by which time the Europeans have been racing on the stuff for a decade. If you look at the careers of Marc Marquez, Valentino Rossi, Andrea Dovizioso, Jorge Lorenzo, and Maverick Vinales, they all have one thing in common despite the age difference: they were all successful mini bike riders, nurtured through a system that enabled them to become the global racing forces they are today. Mini bikes, small bikes, pocket bikes, whatever you want to call them, breed champions. End of story. 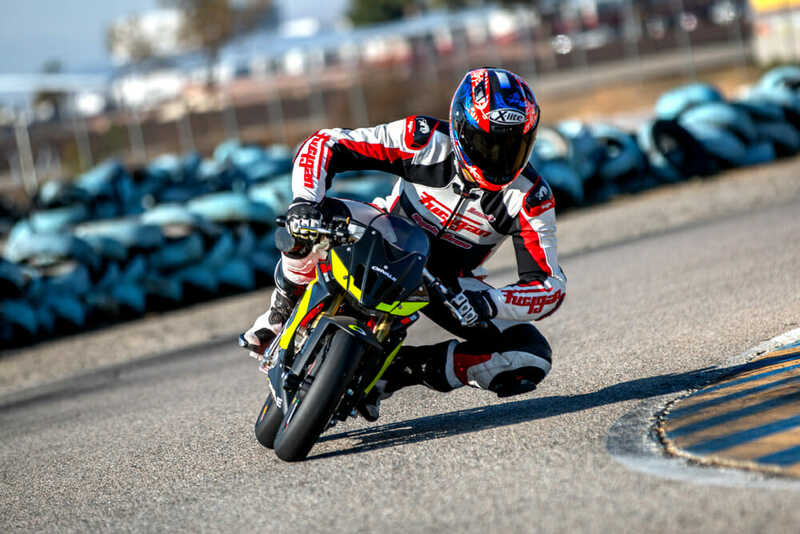 Thankfully, there is hope on the horizon in the form of former international Brandon Cretu and his new company, Rise Moto. 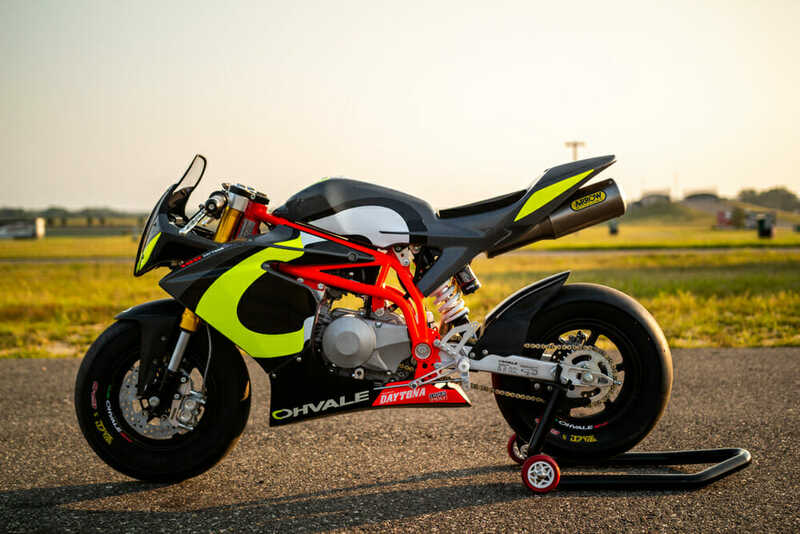 Brandon has been one of the leading American competitors at the Isle of Man TT and Macau Grand Prix, and has formed Rise Moto to become the new importer of Italian company, Ohvale. Comprising of four machines in the GP-0 110cc (both in manual and auto gearbox), 160cc, 190cc and the 212cc (only 30 of these limited-edition bikes will be made worldwide), the Ohvale line-up is a solid one and something American juniors (and seniors) have been crying out for a generation. Within four months of that meeting, Cretu had 11 bikes in the U.S. with six sold days after making the announcement that Rise Moto would bring Ohvales here. Since then, over 70 bikes have found new homes, and the list just keeps getting larger for customers wanting their own Ohvale. You’ll get 25 horsepower on tap from the 190, which is significantly more than something like a Honda Grom and only just behind a CBR300R. Yikes! 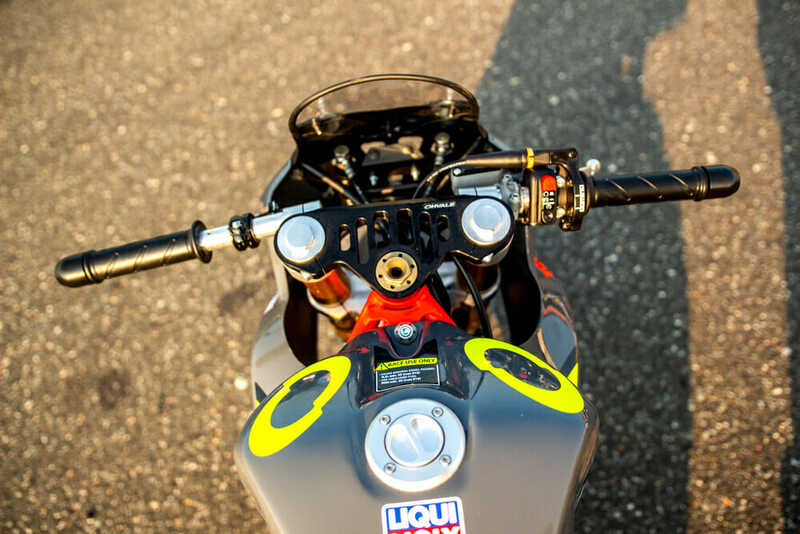 To ensure the Ohvale craze doesn’t become a passing fad, Cretu has been partnering with various mini race organizations across the country, including a tie-in with MotoAmerica. “We’re working with all the mini racing organizations to incorporate the Ohvales into their current racing classes,” says Cretu. 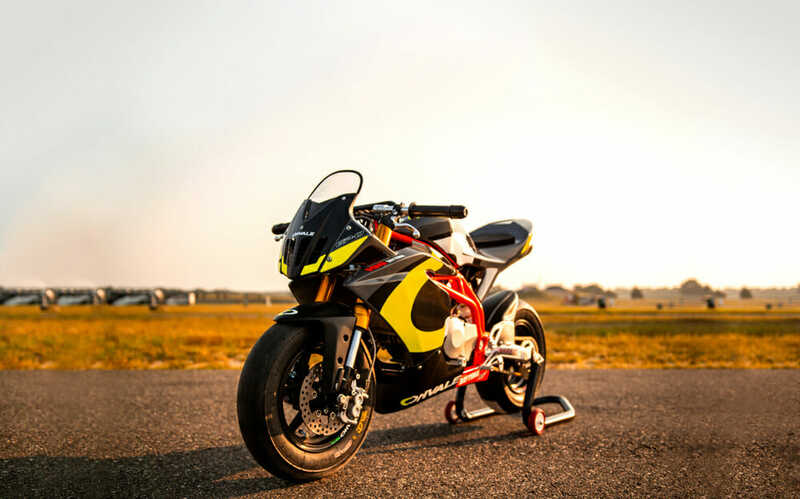 “We will have demo bikes embedded with NJMiniGP in the Northeast, SFLMiniGP in the Southeast, and M1GP on the West Coast so people are able to go and see them in person and try them out. “Beyond that, we are working with MotoAmerica to create a National Ohvale Championship that runs alongside their series at select tracks across the country, and we hope to implement this by 2020. 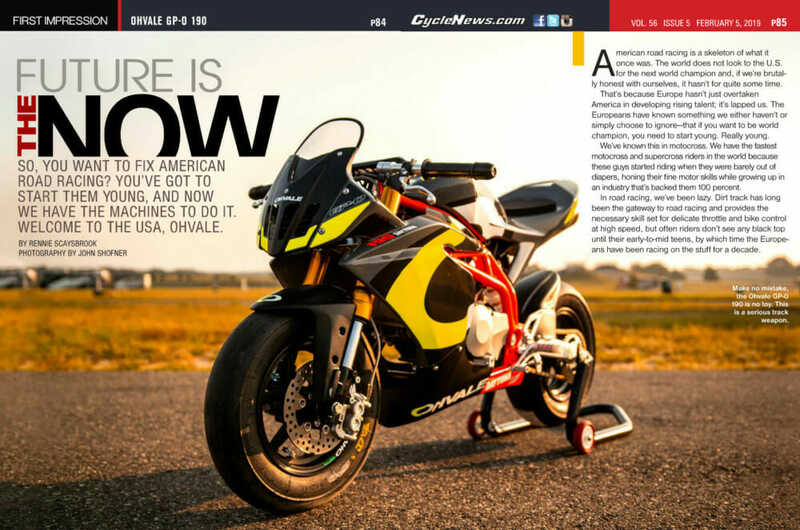 Cretu knows he’s got an equally big responsibility and opportunity with the Ohvale name to not just bring back some glory to American road racing, but open the sport up to families. Full adjustment at the shock, but you can upgrade to an Ohlins if you so desire. “Once you are able to make road racing easily accessible and affordable to kids/families then it will begin to grow from the bottom up in my opinion,” Cretu said. “An Ohvale is the equivalent to a KTM SX65 or SX85, which are the benchmark bikes in youth motocross. Parents can buy one of those bikes and their kid can go race and win youth MX races without the parents having to really know much about a motorcycle. All business. There’s no rev counter—you shift by feel. 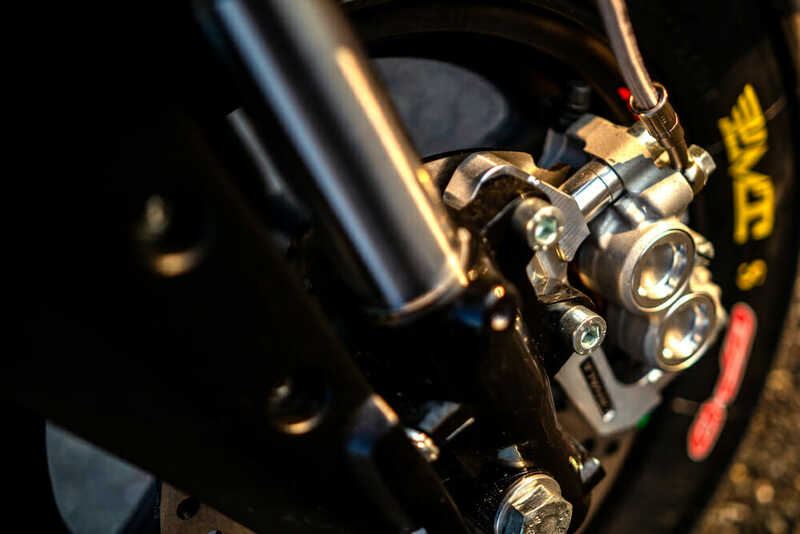 2019 will prove a huge year for Rise Moto and Ohvale in the U.S. It may take a few years for the series to grow into a viable breeding ground for future champions, but you’ve got to start somewhere. And, who knows? We may just be at the beginning of the next American racing revolution. Captain bobble-head tries to stop the GP-0 190 from running off the inside of the track. It turns that quickly. Of the four models available in the Ohvale range, the $6899 GP-0 190 is the kingpin. 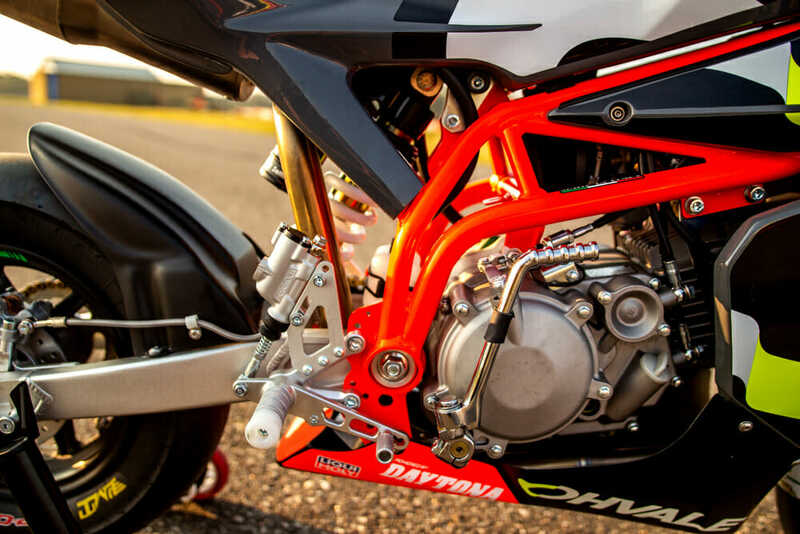 Powered by a Japanese-build Daytona 190cc four-stroke, the 190 pumps out a claimed 25 horsepower, has an Arrow exhaust, Keihin PE 28 carburetor, runs a gorgeous tubular steel chassis, 10-inch wheels shod with PMT slicks, a four-piston monobloc front caliper gripping a 180mm disc and twin-piston caliper biting a 155mm disc at the rear, 33mm inverted forks and a fully adjustable monoshock. Four-piston monoblocs on a bike that weighs 145 pounds. That’s pretty trick. 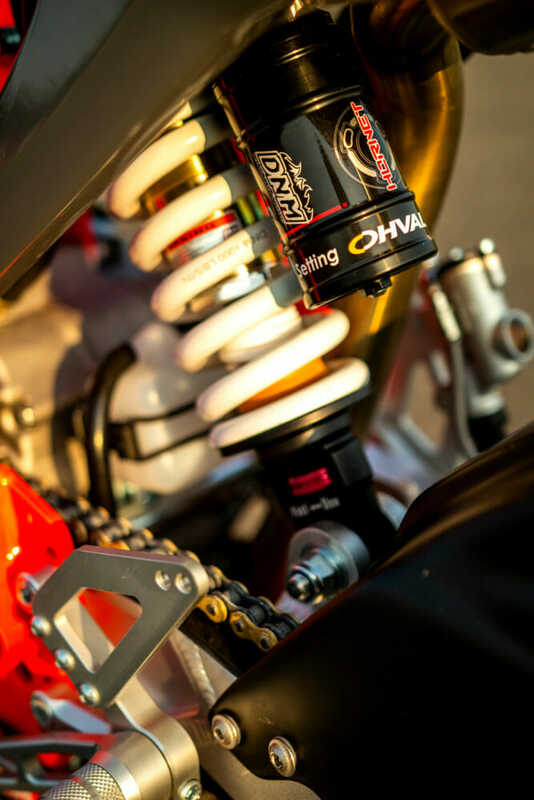 There’s a massive list of aftermarket add-ons for all four Ohvale models, like an Adreani cartridge fork kit, Ohlins shock, different tires, slipper clutch, gearing options, tire warmers, bike stands and covers, as well as the ability to design your own custom graphics (you can make your bike look identical to Valentino’s if you want). 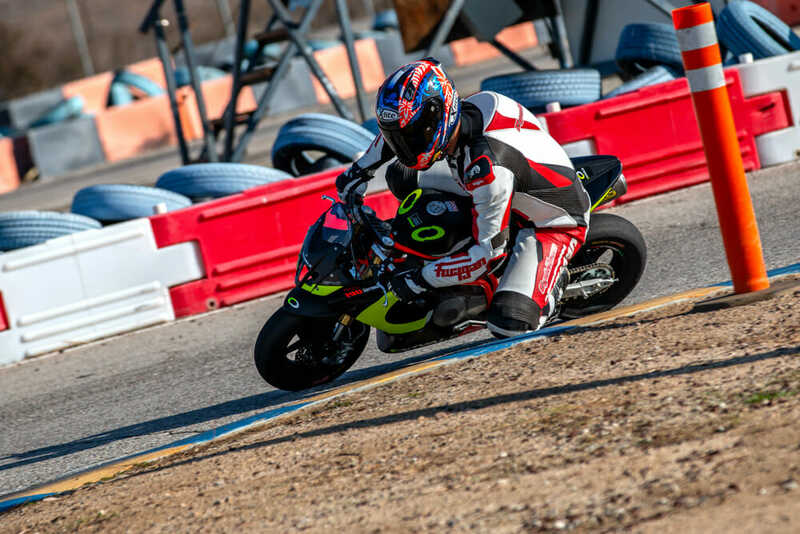 We headed out to Apex Kart Track at Perris in SoCal with former AMA Superbike privateer and now owner of a few Ohvale’s in Josh Chism, who let us loose for a few sessions on his brand-new babies. First things first: These bikes are small. If you’re under 5’8”, you should fit on them pretty well, like Josh Herrin does. If not, you’re going to find them cramped. A degree of decent flexibility certainly helps. You have to train your brain to apex super late with the Ohvale, which is excellent training for a big bike. Once you get over the diminutive stature of the Ohvale (remember, adults ride these bikes as much as kids), the GP-0 190 is nothing short of a track weapon. The 25 horsepower on tap feels at least twice that when you’re so close to the ground, and often the 190 would wheelie out of the second gear corner onto the back straight with my 190-pound frame onboard! There’s an excellent spread of power on tap, although the gearing we had for Apex was way off so I didn’t get to really explore the final quarter of the rev range down the back straight. This engine absolutely hammers for something so small, but the most impressive part of the Ohvale is how it teaches the rider to take corners. 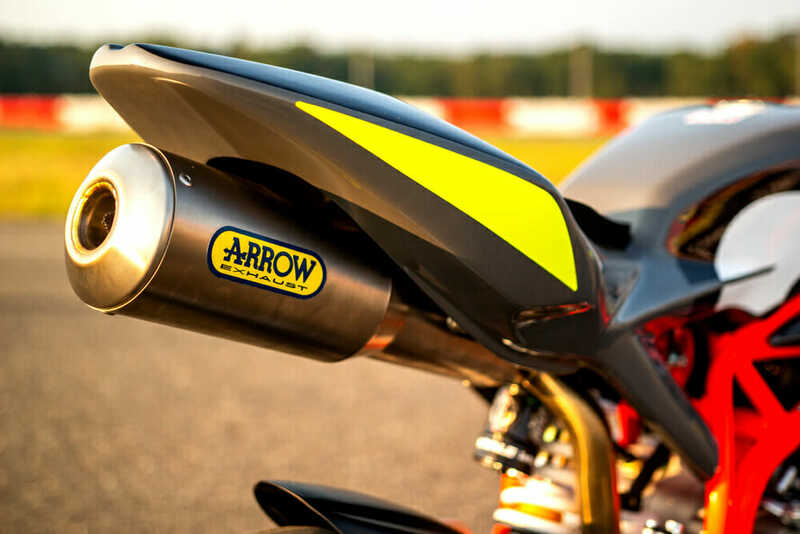 Doesn’t that Arrow exhaust look racy as all heck?! My biggest issue in cornering, always has been, is turning in too early. It comes from braking too early and not carrying enough roll speed through the turn, trusting the tire to turn later than I would normally be capable of. With a 53 percent front weight bias, the Ohvale punishes such behavior. If you turn too early, you will go off onto the inside of the track. This is no exaggeration. I did it. You need to turn and apex late, which makes next the straight longer and gives you better drive. Turn too early on a big bike, and you’ll run way wide and ruin your drive. Do it on the Ohvale and you’ll literally run off the track. There’s a huge amount of chassis stiffness to aid this, and the Ohvale reminds me of the factory Aprilia RSW250 of Alex Debon I rode a decade ago in how lightning fast it takes corners. Captain bobblehead had a ton of fun on the Ohvale, but the knees were pretty sore at the end of the day. The Ohvale will suit anyone under 5’10”. Any taller, and you better be flexible. The brakes are incredibly powerful, and you don’t need more than one finger to haul up from pretty serious speed. There’s also ample feel at the lever, so young riders will start to learn the intricacies of brake feel while leaned over without even realizing. Front tire: PMT slick 100/85-10 in. Rear tire: PMT slick 128/80-10 in. Weight (curb, claimed): 145 lbs.